Emblem with eagle and ribbon. 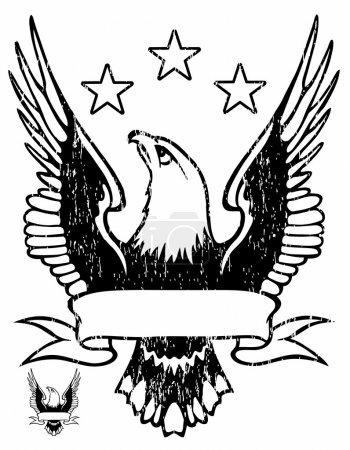 Illustration of emblem with eagle and ribbon. Black and white style.